What’s With All the Fiction Titles That Begin With “What”? My lovely and gifted friend Cora Stryker recently asked me to read the novel she just completed. It’s a compelling post-apocalypse story set in San Francisco, and I hope you all get to read it soon. 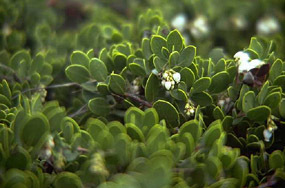 It’s called Raven’s Manzanita, which is a hopelessly endangered real-life plant that figures both literally and metaphorically in the novel. A great title, I thought, but then Cora e-mailed to ask me what I thought of a new title she was considering: What The City Was. Please don’t, I wrote back. Actually, I’m never that succinct or direct, so what I said was that I loved the original title and that although I’d still love her and her manuscript if she used this new title, I was not a big fan of titles beginning with interrogatives, especially the word “what,” because there were too many such titles these days and one could neither remember them later nor tell them apart—and I predicted, moreover, that in time they were bound to seem dated the way vessel sinks in bathrooms and flat-screen TVs mounted over fireplaces were sure to look old-fashioned in a few years and start turning up in the “before” photos in home decorating magazines. Or at least one could hope. Seriously, though: can we call a moratorium on all these “what” titles, especially if they constitute, not actual questions, but relative clauses? Here’s a sampling of recent novel and short story titles: What They Want, What Boys Like, What He’s Poised to Do, What We Can, What Passes Over, What You Have Left, What You’re Walking Around Without, What Is Left the Daughter, What You Do Out Here When You’re Alone, What Is Remembered. I’ll tell you what’s not remembered: which of these I’ve read or not read, or what the ones I’ve read were about. While we’re at it, can we also go ahead and discourage relative-clause titles beginning with the other question words? Surely we can do better than Where We Began, How It Ended, and Why They Run the Way They Do. I don’t object to all such titles, of course. It’s impossible to imagine a better story or collection title for Raymond Carver’s What We Talk About When We Talk About Love. Ditto Laura van den Berg’s gorgeously titled What the World Will Look Like When All the Water Leaves Us. I also like the sheer ballsy reflexiveness of Dave Eggers’s What is the What (besides which, this is actually a question, though without the question mark). I’m not likely to forget any of these titles or stories. As for the other question words, obviously the world needs Where the Wild Things Are and Where the Sidewalk Ends and the “How to” stories of Lorrie Moore and Junót Díaz. But imagine if this fashion for question-word titles had afflicted the world of letters for the last three centuries. We might have What Happened Back Then instead of War and Peace; What He Wanted for Great Expectations; and What They Say to One Another for Pride and Prejudice. How He Managed could replace Robinson Crusoe; Where the Careless Were for The Great Gatsby; and Why We Drink So Much for Dubliners. I think we can all be grateful our bookshelves aren’t filled with titles like these—titles that sound more like Jeopardy! answers than anything else. I’m also happy to report that my friend Cora decided—not on the strength of my rant so much as on her own good instincts and the general consensus of friends—to stick with the original, memorable title she’d given her novel. Raven’s Manzanita by Cora Stryker: I can’t wait to see this book take its place on my fiction shelves. Let’s see—yes, she would go right here between Robert Louis Stevenson’s What Pirates Do and Jonathan Swift’s Where I Went and What I Saw There. Next > Ready or not: residency!